I received this book for free from the author. This review is voluntary. My opinion is not influenced in any way. 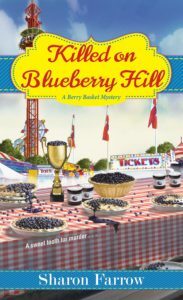 Marlee and the other residents of Oriole Point, Michigan are celebrating the Blueberry Blow Out – a fun festival filled with lots of fun events like a pie-eating contest, tug-of-war, and more. The Berry Basket sponsors a bounce house ride and also has a booth at the festival. 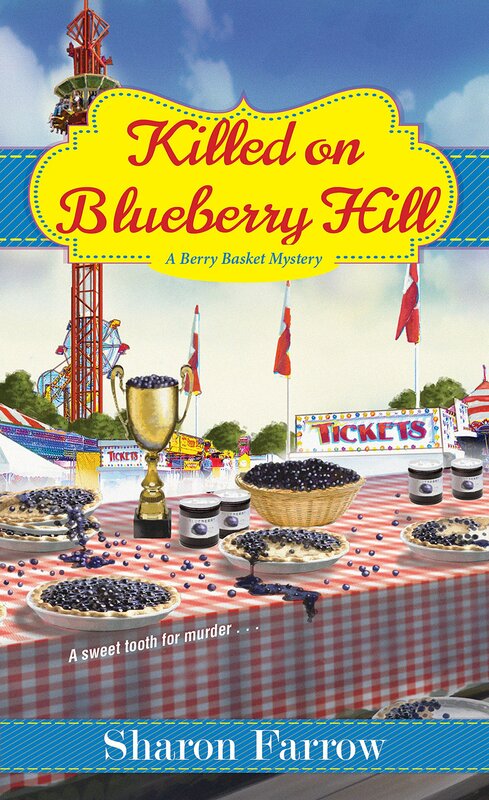 Between that as well as the daily tourist traffic at The Berry Basket, Marlee has a lot on her plate. Factor in her wavering feelings about marrying Ryan, witnessing a fight that almost turned deadly between Ryan and a rival blueberry farmer, Porter Gale, and then Porter’s death…Marlee is stressed and with good reason. This story was full of so many twists and turns. The story played out unlike any other cozy mystery I’ve read. I loved that I didn’t know how it was going to end. Killed on Blueberry Hill is a bit of an edgier cozy – there are a few mild curses, some on-page violence (nothing too gory), and a sophisticated mystery. Though this is the third in a series, you could easily enjoy it without having read the others. 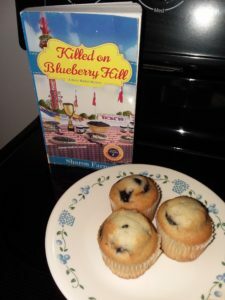 Strong characters, a well-developed plot, and tasty blueberry recipes make Killed on Blueberry Hill a cozy you shouldn’t miss.